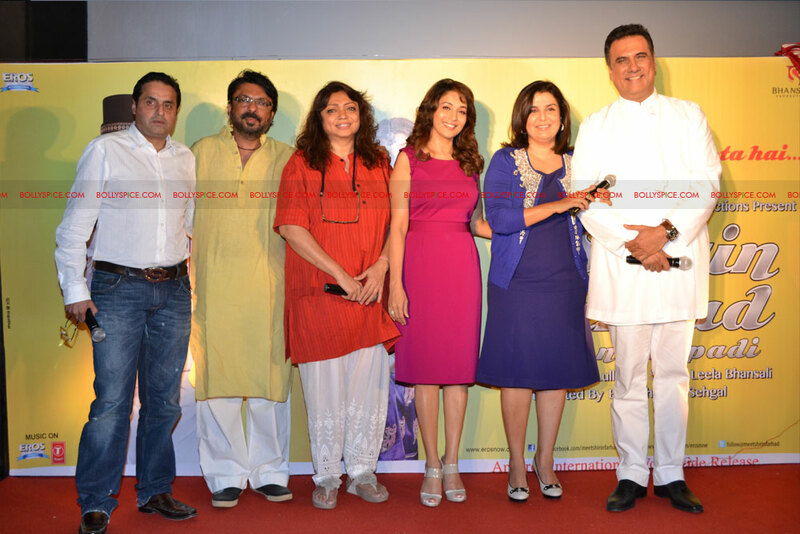 Amidst a packed house, producers Sunil Lulla and Sanjay Leela Bhansali along with director Bela Bhansali Sehgal and actors Boman Irani and Farah Khan unveiled the first look of their forthcoming film, Shirin Farhad Ki Toh Nikal Padi. Said producer Sanjay Leela Bhansali “I’m so excited. It’s a very special moment for me especially since it’s my sister Bela’s first film. To a great extent, whatever I am, I owe to Bela and now it’s a proud moment to introduce her”. Added producer Sunil Lulla, Eros International, “We are very happy to be a part of this unique love story. Bela has made a fantastic debut as a director, Boman and Farah pack a punch together and Sanjay has written a fabulous script. With such formidable talent coming together, one can only expect something really exciting and fresh for audiences”. Talking about her first venture as director said Bela Bhansali Sehgal “I had always decided that my first stint as director would be a unique subject – Shirin Farhad Ki Toh Nikal Padi is a fun feel good comedy, a film for everyone “. 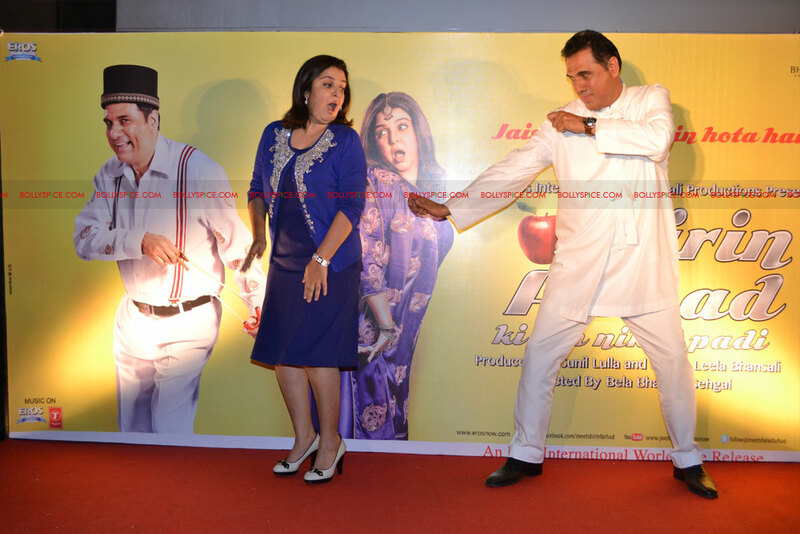 Added co-star Boman Irani “It was a blast shooting with Farah under the direction of Bela Sehgal. After playing a Parsi husband for 27years in real life, I get to play one in reel life “. Starring Boman Irani and Farah Khan, Eros International and Bhansali Productions’ Shirin Farhad Ki Toh Nikal Padi, directed by Bela Bhansali Sehgal is schedule to release on 24th August this year. Check out the first look trailer and pictures from the launch event!